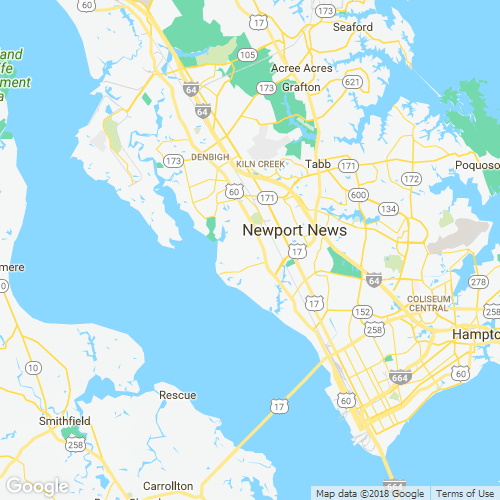 We currently have no rainfall data available for Newport News, VA.
Nestled on the James River in coastal Virginia is the idyllic town of Newport News. A major city in the state with history chronicling centuries of maritime history, this region also played an integral role in the Civil War. If you live here, you already know there's plenty to do and see - even if you aren’t a history buff. Our town is close to several major theme parks. Busch Gardens Williamsburg is a European-themed amusement park with dozens of attractions. Water Country USA offers slides and other water rides. If a sedate adventure is more your style, Newport News has many historical and recreational parks. Sandy Bottom Nature Park is a lakeside preserve and environmental center with more than 456 acres of trails and lakefront activities. Chippokes Plantation State Park is a working farm founded in 1619. Stop by and tour the antebellum mansion and gardens. Of course, you can’t spend a day in Newport News without enjoying at least one of the area’s historical attractions. The Army Transportation Museum Foundation features exhibits on the history of U.S. military logistics. Lee Hall Mansion is a history museum in a 19th century home that was once used as a Confederate command post. There’s no shortage of culinary places to enjoy. In the mood for Italian? Stop by Al Fresco on Jefferson Avenue. Harpoon Larry’s Oyster Bar on Clyde Morris Boulevard is great for seafood. The Smoke BBQ Restaurant and Bar on Warwick Boulevard is a great place to take the kids. You work hard all week, and you shouldn't have to spend your weekends toiling over your lawn. We understand you want your lawn and landscape to be the envy of Newport News. But that shouldn’t come at the expense of your quality time with family and friends. If you’re struggling to make the most of your weekend, outsource your lawn care chores to LawnStarter. LawnStarter is the top name for all things lawn care in Newport News. We cover everything from lawn mowing to tree trimming and everything in between. 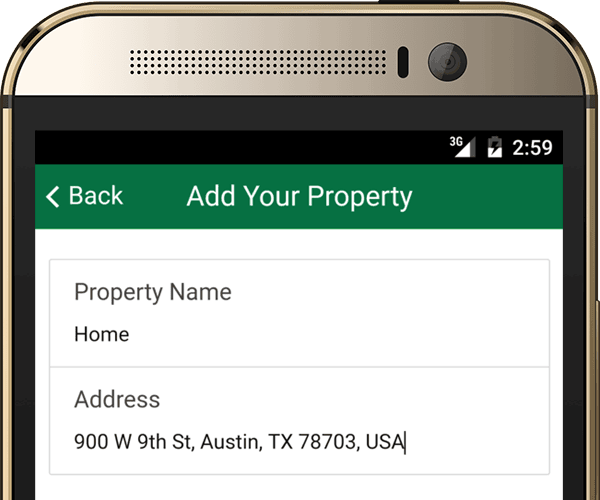 All you need to do is install the handy LawnStarter mobile app. 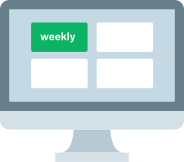 From the comfort of your couch, you can schedule, cancel, or confirm services - all with the click of a button. By providing us with your zip code, you can see the options available in your area, including services, prices, and potential start dates. If you’re ready to give LawnStarter a try, give us a call today. You’ll be glad you did when you're spending your weekends relaxing in Newport News - instead of mowing your lawn. Reyna is the founder of J&R Lawn And Landscape,LLC, a professional lawn care service provider in Newport News, VA. She has completed 660 jobs for 70 LawnStarter customers and earned a 4.7 /5 rating. Customers have described Reyna as communicative, professional, and friendly. Amg Lawn Tree Service LLC, owned by Gustavo Gomez, is a local lawn service in Newport News, VA. He has earned a 4.5 / 5 star rating on the LawnStarter platform. If you need a communicative and easy to work with lawn service, Gustavo is the one for you. Dexter Gray is the founder of Dexters Deluxe, a lawn care provider in Newport News. Dexter has a 4.5/5 rating. Customers often describe him as curteous, punctual, and customer-centric. GOOD MORNING,EXCELLENT JOB,FIRST CLASS CUSTOMER SATISFACTION AND SERVICE.I WILL RECOMMEND IT TO EVERYONE,THAT NEEDS YOUR YARD OR PATIO VERY WELL MAINTAINED WITH THE RIGHT TOOLS AND THE BEST PEOPLE TO TAKE CARE ALL YOURS NEEDS AND CONCERNS ABOUT YOUR LAWN. The lawn was cut evenly and specially the part beyond the sidewalk in the front yard, looks much better now. Thank you. He pinch-hit for another service provider who couldn't show yesterday. Showed up early in the day. The results were impressive. Very thorough and clean. Many thanks for the wonderful edging job, Robert. Looks great!!! Would you recommend bricks or something as a border? Also, would you recommend a grass seed treatment at this time? William did a fantastic job on my lawn today! I came home to nice manicured lawn. I hope that he continues to service my location. The lawn looks great. Thanks Aaron. Clint was thorough, friendly and did an amazing job. So happy with the service. Left grass all over patio. The edging around my fence was not done as clean as they usually do. But everything else looked great. I feel like the communication from you guys is lacking. You send messages to say you are coming then don't show. You say you are getting a new guy then send the same guy. You want me to get the dog poop up then don't show when you say you will. This time they left my gate wide open and my dogs got loose. Really, do you guys want my business? Steven came well within the window of time and completed the job. He did an excellent job. Mine is a new lawn with some uneven sods which are still settling in. Steven and his crew were patient and careful. I hope that they took care of the sprinkler heads. Great job. Did a great job. Perfect length for the summer! I have a problem with the fact my yard is not treated for weeds. I have a patio and rocks in the back yard. There are weeds growing out of the patio every where else.. My last guy sprayed weeds every time he came to mow. Excellent, early, professional and fast! Thank you so much! Grass looks great! I really appreciate you all being able to accommodate me by coming out earlier than the original reschedule date. Edging did not appear to be completed. Are we still on biweekly? LawnStarter pros will let you know what your lawn needs. Here are some recent recommendations for extra lawn services in Newport News, VA. Description: Back yard Leaves bagged and mulched. Round up cracks and weeds in beds. Description: Full yard Clean out gutters and make sure each down spout has proper water flow. Description: Front-yard Trimmed scrub in front yard and clean up debris. Description: Full yard Bag clippings of full yard. Bagging will prevent dry spots on lawn. Items Needing Service: Front Hollies and rear Bottle Brushes. Items Needing Service: I have a large tree limb in the backyard that needs to be removed. I have spoken with Marylin and we have agreed on $75 for the service. Location on Property: In the backyard. Work to be Done: I would like for the tree limb to be chopped up or removed from the backyard.